You are warmly welcome to the website of the oldest Masonic Province within the Irish Constitution that of MUNSTER which dates from 1751. Today, our province comprises the City and County of Cork and that portion of the County of Kerry lying south of a line drawn from the head of Tralee Bay to Clydagh Bridge, including Milltown and the town of Tralee. Prior to 1842 when the province of North Munster was established the province of Munster also included County Limerick, County Clare, part of County Tipperary and all of the County of Kerry. Freemasonry in Cork is much older in Munster than 1751. The earliest mention in existence is 1656 when one John Champion is recorded as ‘Master of ye society of Freemasons He was a wealthy land and property owner of the time. 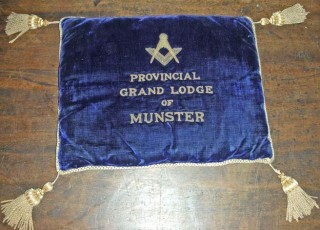 In the early days of the 18th Century there were sufficient lodges operating to have necessitated the creation of a GRAND LODGE OF MUNSTER. The date this Grand Lodge was established is unknown as its earliest minute, which is dated 1726, is obviously not that of its foundation. In 1733, Lord Kingston of Mitchelstown was elected Grand Master of Munster while being at the same time Grand Master of Ireland and in this way the two Grand Lodges were amalgamated. 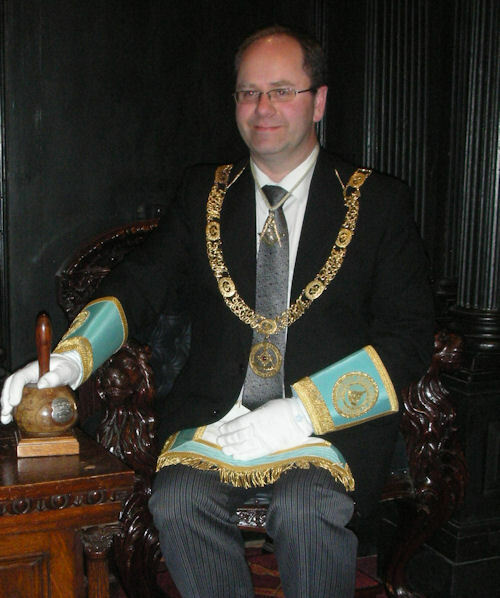 While being happy and content to give their allegiance to the Grand Lodge of Ireland, the fourteen Munster Lodges retain a form of working which differs somewhat from that used by other Lodges of the Irish Constitution. Within the United Grand Lodge of England, the province of Bristol uses a rather similar working. It is believed that this similarity of working came about because of the close maritime trading links between Cork and Bristol in the 18th and 19th Centuries. The Masons of Munster are always delighted to welcome visiting Brethren to their meetings. Likewise any man of goodwill interested in joining our ancient and honourable society will be given all the help and advice he may require. Contact can be made by telephoning The Masonic Hall, 27 Tuckey St, Cork at 021 4274095 where a 24 hr answer phone is operating, or by emailing the general inquiries page or by emailing one of the Lodges direct from their own homepages on this site.